We all know that the biggest expense for any celebration would normally be the food. Guests make their impression (whether it be good or bad) basing it normally on the food. I have always trusted one caterer for all of my family’s celebrations. It has always been Bistro 109 Catering Company. 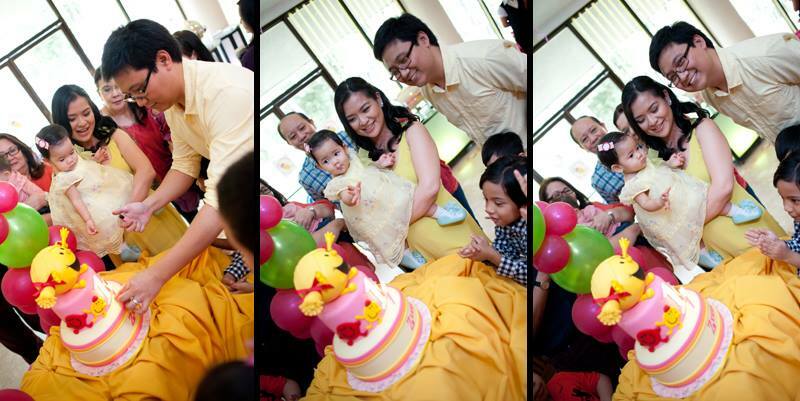 For Zeeaka’s Baptism and First Birthday Party, they were the ones who catered. What I like about them is that they have attentive waiters (always filling up drinks). 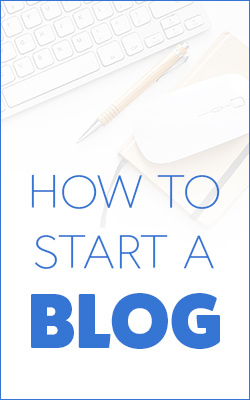 They are easy to talk to, especially if you have so many requirements. They fulfilled all of my requirements for the table setting like what flowers to us and what frames to use so that it would match the photo. 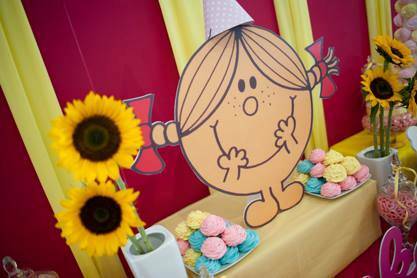 They also were the ones who brought in the kiddie chairs and tables (not only for the main set up but for the supplier of my activities), the cake tale, the gift and registration table and even the table for my dessert/candy buffet brought in by another supplier. Also, they are one of the most reasonably priced catering companies. 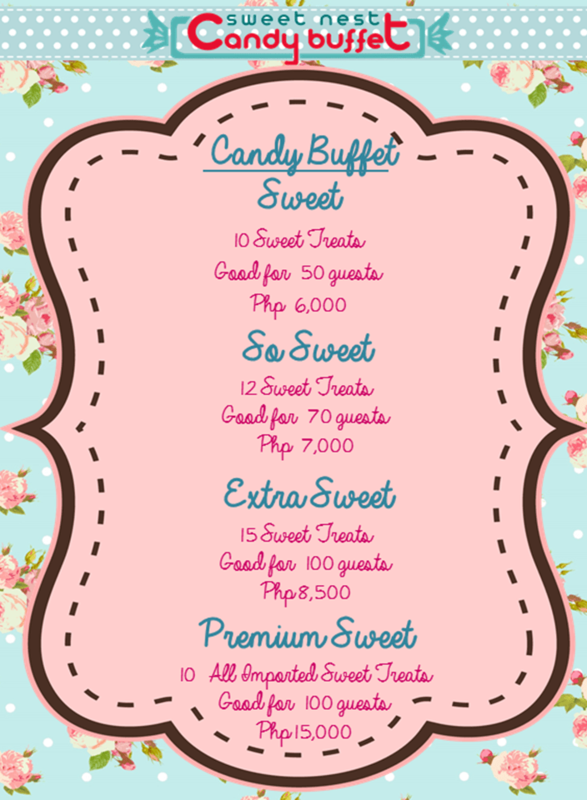 They have packages from Php 350 per person to around Php 650 per person. Another supplier whom I always get and whom I trust when it comes to cakes and pastries is Tazzy Cakes. The Arboledas have always from Tazzy for all our children’s parties and celebrations. 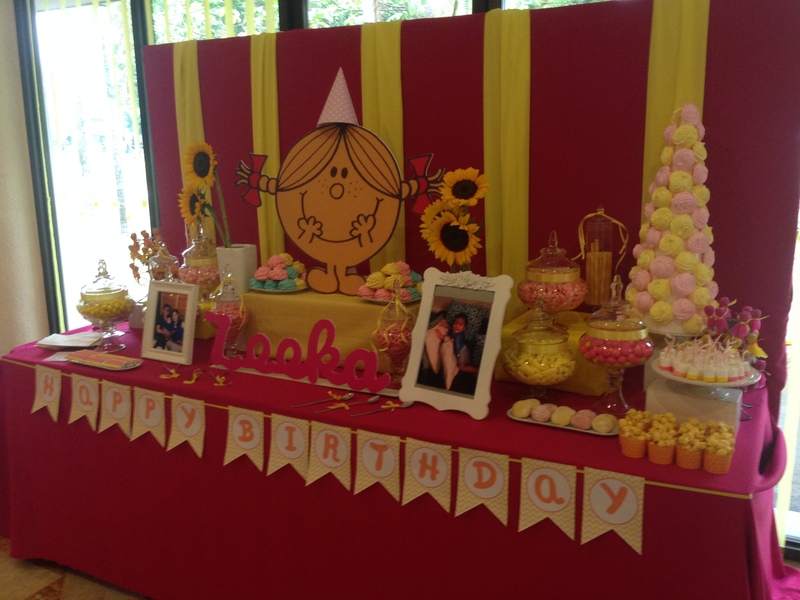 Asid from the 2 Cs (Caterer and Cake) for my daughter’s birthday, another important C that I got was a Candy Buffet. This is the “in” thing now. All of the kiddie birthday parties that I have attended this month (which is around 4 already) have candy buffets as one of their party suppliers. The candy or dessert buffet a great way to add decoration and to show the theme of the party. My supplier was Sweet Nest Candy Buffet. This was the first time that I got them as a supplier and to tell you honestly, it was really nice talking to Jaz. She was very accommodating. I really love what she did! Aside from these, they have so many treats and pastries and other services that they can offer so I suggest that you send them an email. Jaz, I know, will be happy to email them to you. 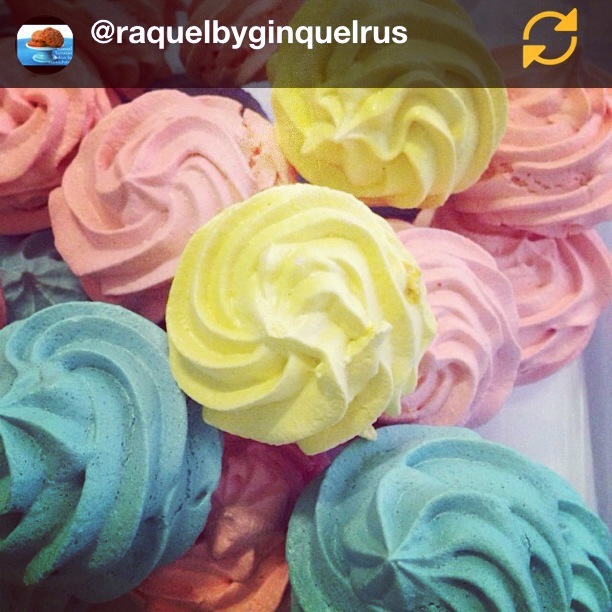 Okay, another thing that I am thankful for was the colorful Merengue (in line with my theme) from Mamachows. You’ll notice it on top of the table with Little Miss Sunshine in this picture. 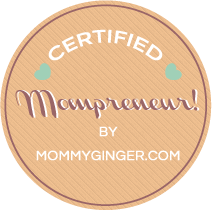 Raquel from Mamachows main business is that she provides lactation cookies to women who just gave birth. But aside from that, she and her husband Chef John also make delicious meals and pastries for all of us to enjoy. Thank you, Mamachows, for this wonderful gift for Zeeka! 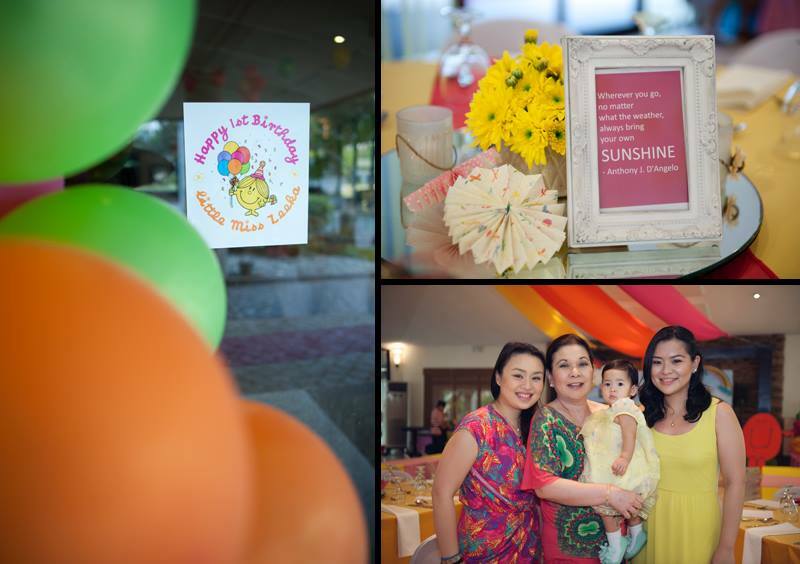 Watch out for two more posts on my party suppliers for Zeeka’s first birthday! 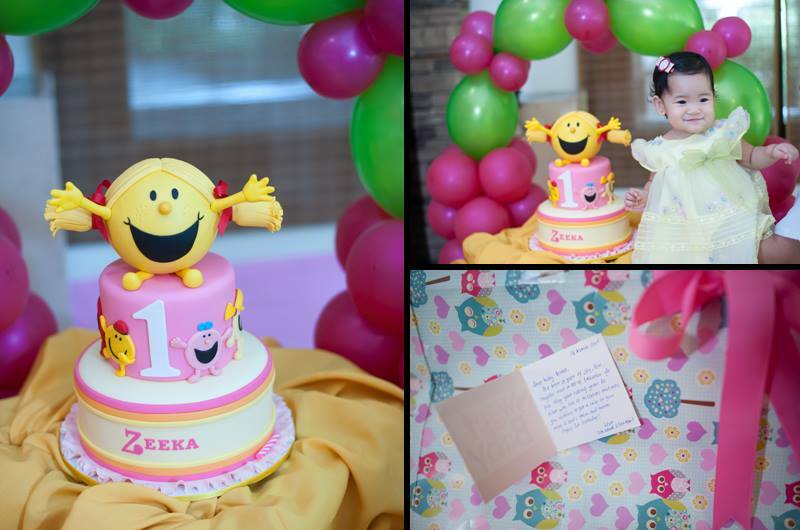 awesome work…cake is specially looking fresh and mouthwatering…!!! Would like to know about Bistro’s serving portion. Madami ba o sakto lang?